Emergency services are battling to save people from flooding in St Michaels. The Environment Agency has issued a severe flood warning south of the River Wyre – meaning there is danger to life – after a breach of the flood embankment on Hall Lane, resulting in flooding to homes and roads, including the A586. 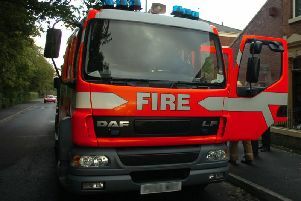 Lancashire Fire and Rescue said it had two fire engines and a high-volume pump on the scene, while police reported homes were being evacuated as a result of flooding. Environment Agency bosses said they were working to repair the breach as soon as possible, and said it was not expected that further rainfall would raise river levels on Monday. The Environment Agency North West had tweeted over the weekend that the Garstang Basin was operated and filled to relieve pressure on River Wyre to protect Garstang and St Michael’s.